Reboot will tell the origin story of Faith. Electronic Arts chief operating officer Peter Moore showed off concept art of Mirror's Edge today, ahead of presumably a bigger reveal of the reboot tomorrow at E3. On Twitter, Moore revealed the concept art for Mirror's Edge, along with the words, "Have faith." The image (seen above) shows main heroine Faith surveying the rooftops of a futuristic city landscape. 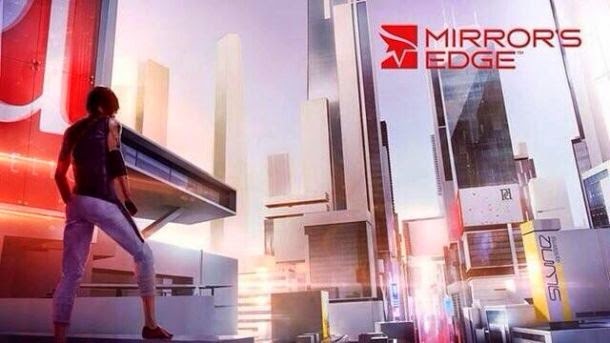 Electronic Arts unveiled the new Mirror's Edge last year at E3, which will tell the origin story of Faith. DICE said the upcoming reboot is only possible on next-gen machines, stating in August that "the design of [the new Mirror's Edge] and the online and technical capabilities of the game design make it only possible on a gen 4 [PC, PlayStation 4, and Xbox One] machine."